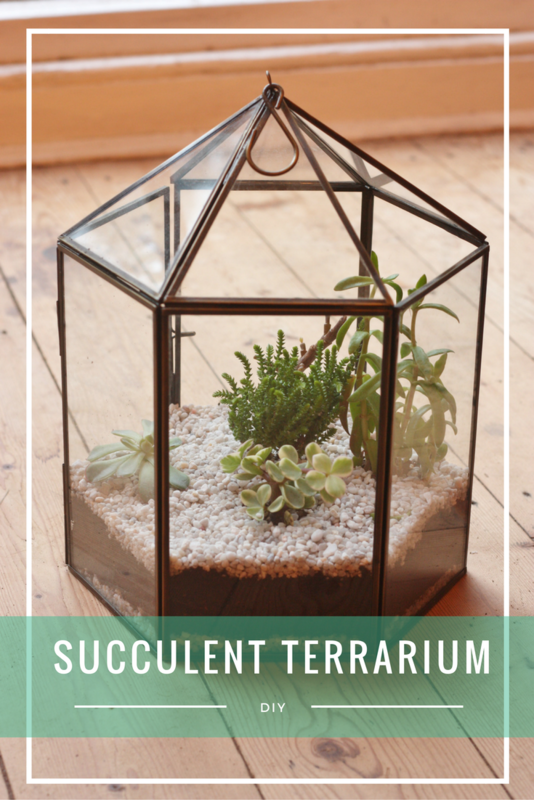 Planting a succulent terrarium couldn’t be easier, and is such a satisfying DIY project! 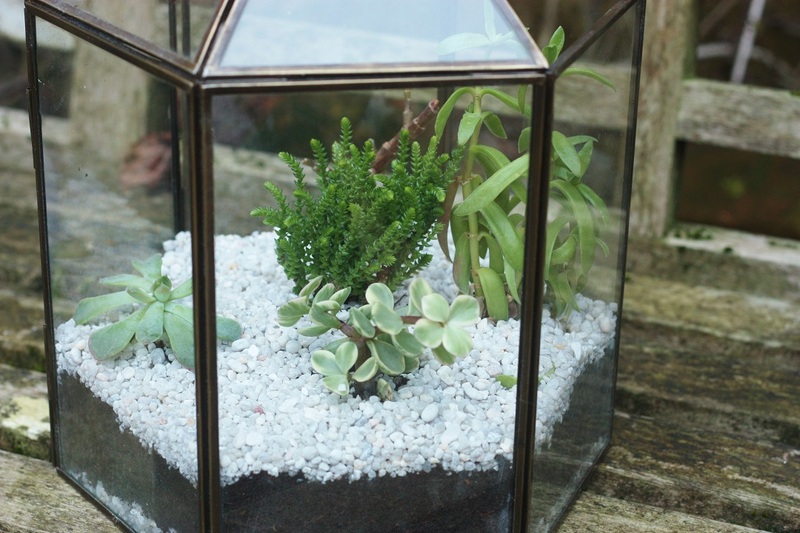 Making your own mini-garden as a long lasting alternative to cut flowers might seem like a blogger cliché, but I actually found it really satisfying and they’re so easy to look after! 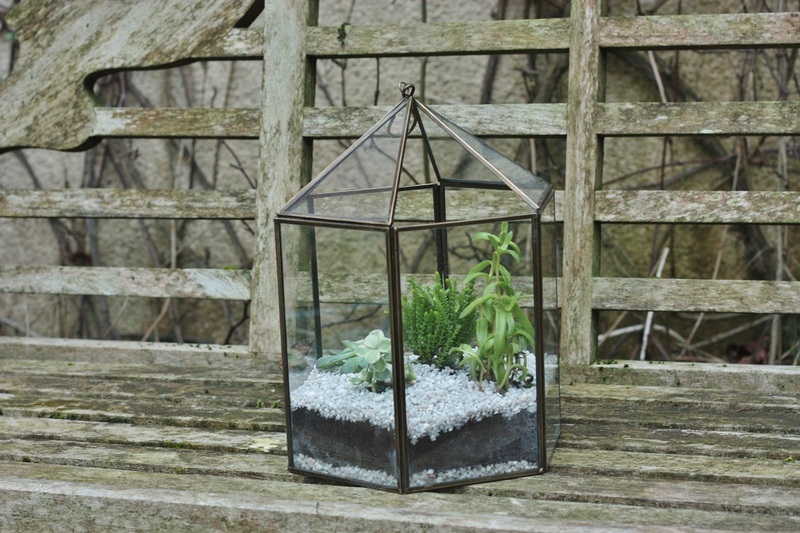 I received this beautiful terrarium and succulents from Adam’s granny for Christmas and I’d been meaning to finish and photograph it for over a month – my poor little succulents were still sitting in their pots on my windowsill! 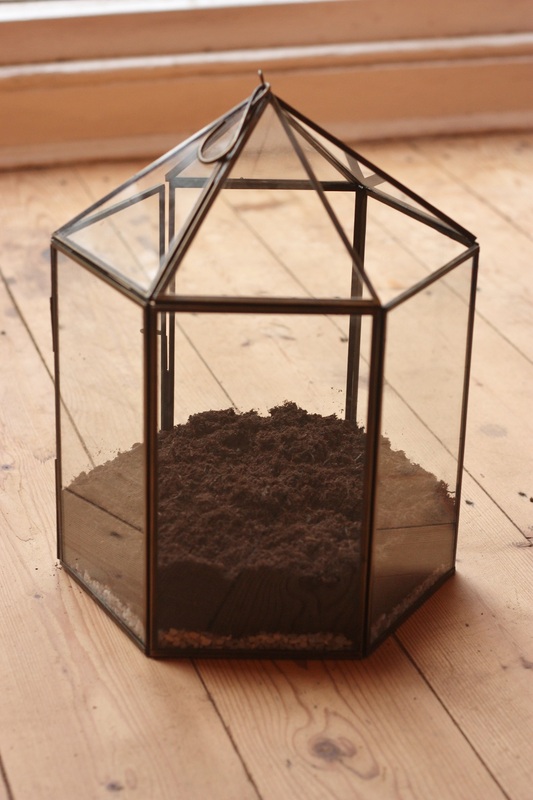 However, the recent popularity of cacti and succulents meant the challenge of finding suitable compost was near impossible! Cue three separate garden centre trips later and I got my hands on some! 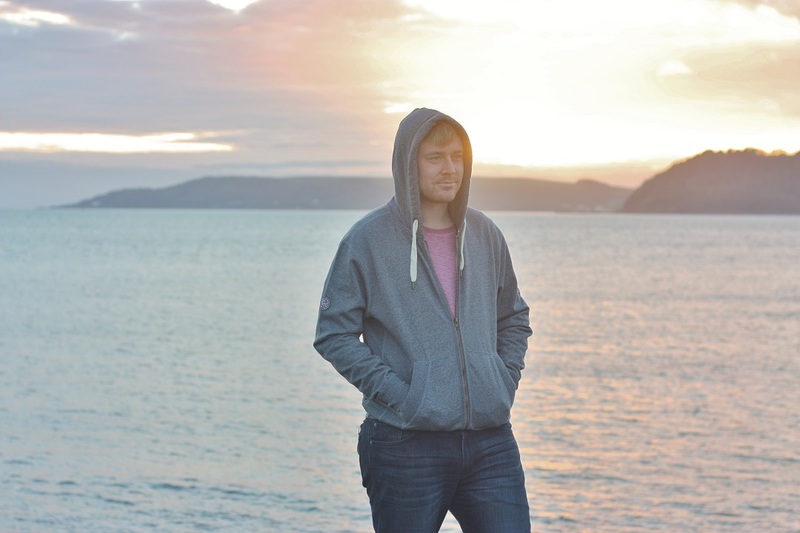 You can of course make some yourself, but I’m not green fingered enough yet to trust I’d have the correct drainage and quantities. 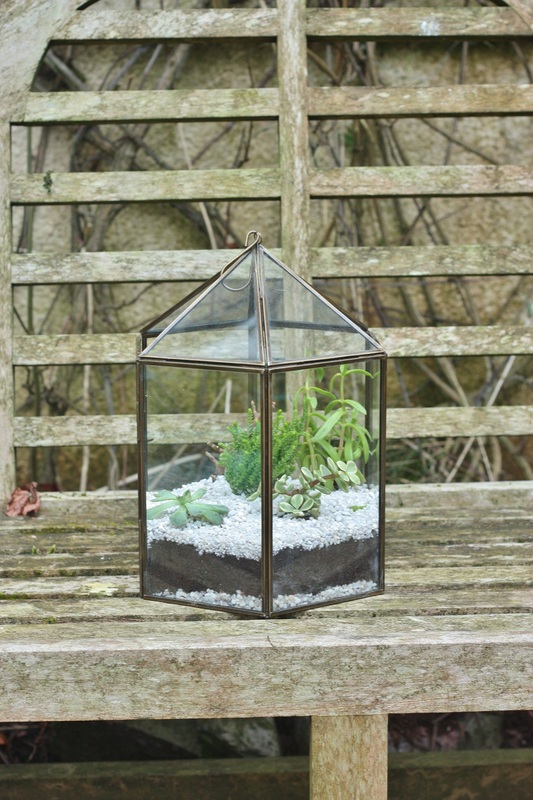 The great thing about this terrarium is that two of the panels in the top are open, meaning your plants can get some airflow, whilst also having access to all available sunlight too, though there are loads of different designs and shapes you could also make them out of! 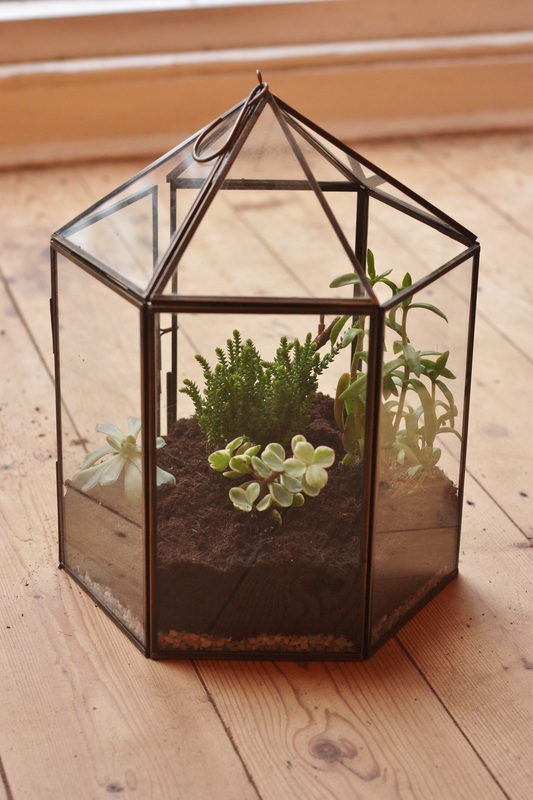 4 – Making little wells in your soil, add in your succulents or cacti, remembering that they will grow much bigger, and trying not to plant them too close to each other or fill the terrarium too much. Pat down the soil around them. 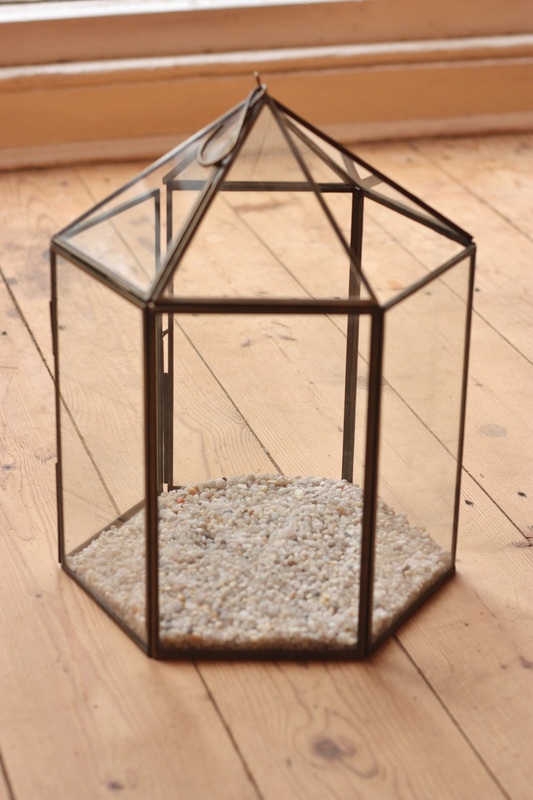 5 – For decoration, add in another layer of decorative gravel – I think mine was designed for fish tanks, but any will do! 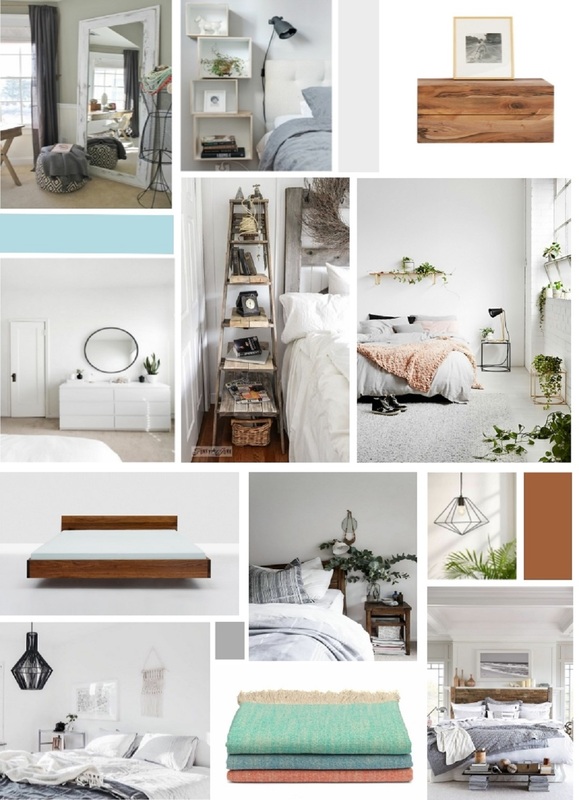 I’ve seen some pretty cool ones with little other decorations or miniature scenes, so go wild if you fancy it! 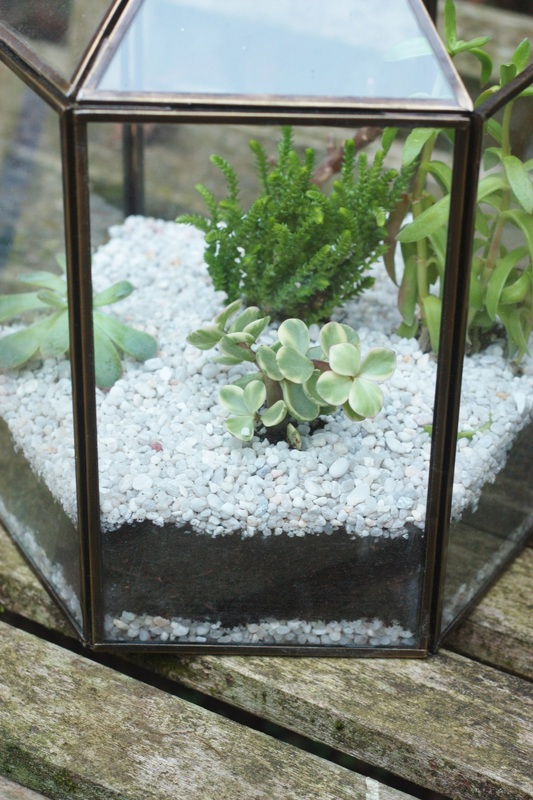 There you are, a DIY succulent terrarium, told you it was easy!